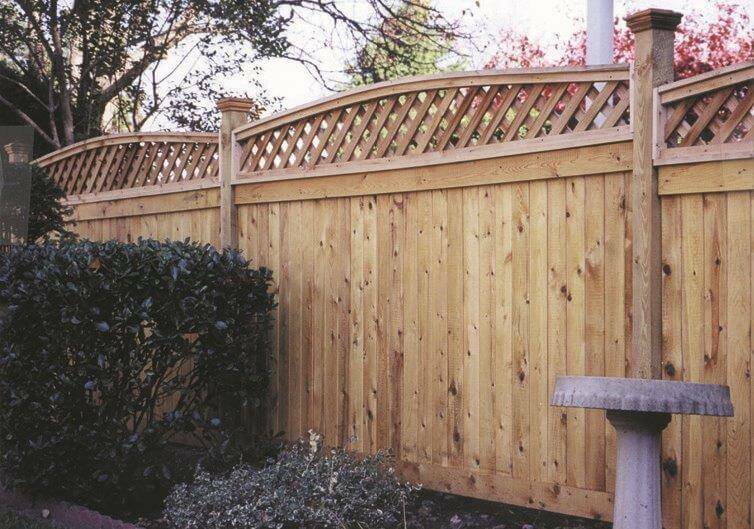 We design and manufacture a wide variety of PVC Vinyl and Cedar fencing with unlimited combinations, including matching gates, arbors and pergolas, in order to accommodate every taste, budget and space. Many of these styles are available in a variety of configurations, as shown below. STEP 01: Fence design is limited only by your imagination. The best way to start your selection and planning is to look at other fences in your area or through books and home magazines. 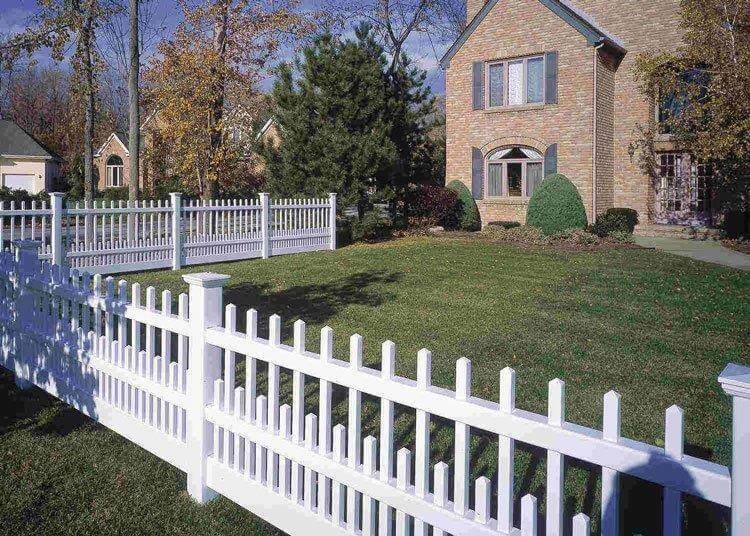 STEP 02: There are many different types of fences: chain-link, panel, picket, ranch style, etc. Most of the installation techniques are very similar. STEP 03: Contact your city or residential association to find out if there are any restrictions on fence construction in your neighborhood, and specifically, your lot. If you live on a corner, for instance, there are certain restrictions due to ‘line of sight’ issues. So be sure to check with your local zoning authorities before you begin. STEP 04: Check your setbacks to see if you’re allowed to build right up to the property line. STEP 05: Call your utility companies and ask them to come out and mark buried cables or pipes. They will spray paint these areas so that your planning is not only safe, but more efficient. STEP 06: Make sure you know exactly where your property lines are. It’s a good idea to have a survey taken or stake the corners of your lot before you start. STEP 07: Create a sketch of the area you wish to install your fence. STEP 08: Establish all gate(s) and/or transition locations. STEP 09: Determine number of sections needed – keeping in mind that if a required section is less than 6′, this will require the section to be trimmed. 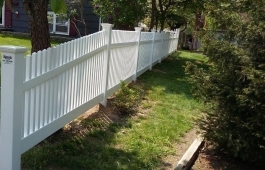 Example: 20′ of fence will require 4 sections (4 sections x 6′ = 24′, 4′ must be trimmed to accommodate the installation). STEP 10: Determine the number of posts. Note: all gates must be installed with left and right gate posts only. STEP11: Enhance your design as you like by adding accessories such as scrolls, finials, ball caps, etc. 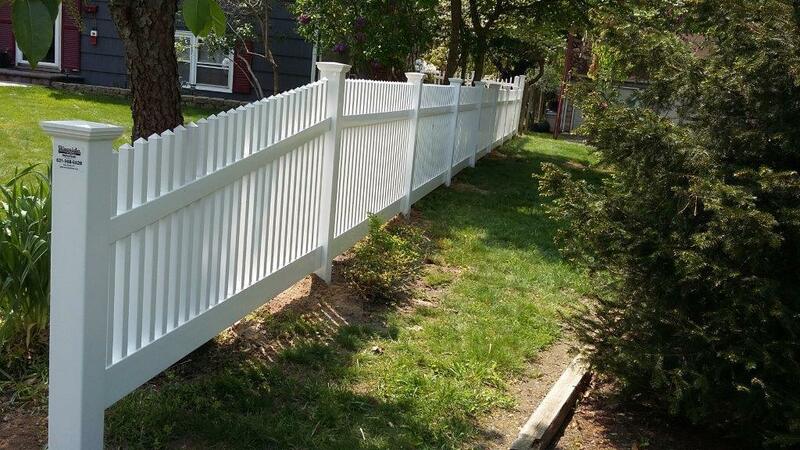 STEP 01: Laying out your fence is pretty basic in theory. 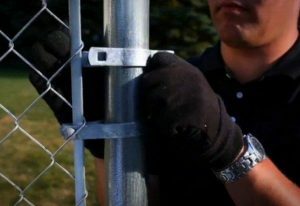 You stake out where your fence will go, and stretch a string between them. This will serve as your guideline for installing the posts. First stake the spot where your fence will start. Tie a string to the stake and stretch it out roughly perpendicular to the house (or whatever you’re working from). Hold a tape measure diagonally between the three foot mark on the house and the four foot mark on the string, and move the string until the distance between the marks is exactly 5 feet. Tie down your string to this spot. It is now exactly perpendicular to the house. STEP 03: Mark the position of the first post. Then measure out on the line to mark the rest of the posts along your section of fence. STEP 04: Your string should actually be the outside edge of the posts. So you’ll have to measure in from the string for the center of the posts. Mark these with a stake or a nail with a piece of ribbon so you can see them. STEP 05: When a fence runs down a hill you have two options: you can have the tops of the sections follow the slope of the hill or you can keep the fence sections level and step the fence down at each post. STEP 06: For a step-down fence, determine the height difference between the top of the hill and the bottom, and divide that number by the number of sections. STEP 07: This will be the amount to step the fence down at each post. One way to dig your post holes are with a clamshell digger. This is pretty hard work, and if you’ve got a lot of holes or hard ground you should rent a power auger. Even with the power auger, digging post holes is tough work. In most areas, you want your posts below the frost line, so when the ground heaves from frost, the post will stay in place. 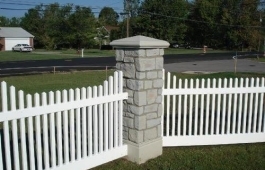 Our building codes specify that the corner posts, or posts around a gate, be dug down 42”. For our middle posts, or “line posts”, we dig down 36”. Obviously, in warmer areas, the frost line isn’t this deep. A good rule-of-thumb is that you should bury about a half of the corner posts and about a third of the line posts underground. 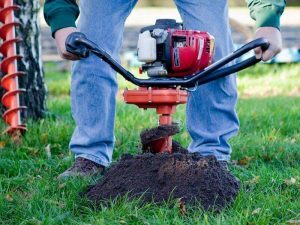 Redwood, cedar or treated posts will resist rot and decay, but it’s still a good idea to put a five or six inch layer of gravel at the bottom of each hole. The gravel will allow any water that collects at the bottom of the hole to drain away. Set the end posts first. It’s a good idea to use concrete to set these. Line up the post edge along your layout string. You should also use a 4-foot level to make sure that the post is plumb in both directions. Brace the post in place while the concrete cures. The line posts require a lot less support. In most cases it’s okay to set them with dirt. Use a spacer to get a consistent distance between the posts. When the post is in position, shovel dirt in around it. Once you’ve got three or four inches of dirt in, pack the dirt down, using the end of a 1×2, then keep filling it up. When all the posts are set hard, trim the tops to the proper height. 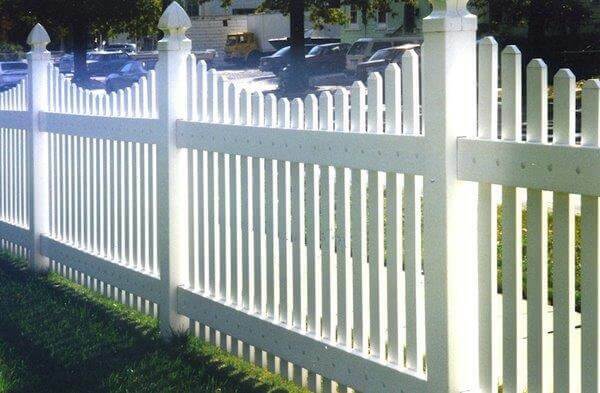 There can be many pieces that make up the panels of your fence. 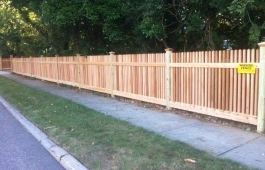 Stringers are the pieces that run horizontally between the posts and support the fence boards. 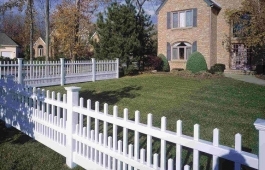 Where these go on your fence depends on your fence design. Allow at least a couple of inches below the bottom stringer to prevent rot and to make it easier to mow. One way to attach the stringers is to cut them to fit in between the posts and toe nail them to the posts. You can also dado out a section of the post and set stringers in flush with it. Always use galvanized nails on any project that will come in contact with moisture. Install the stringers square, and don’t knock your posts out of plumb. 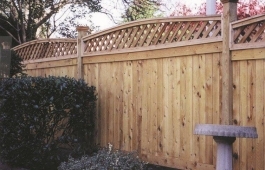 Your fence panels can be any design you want. 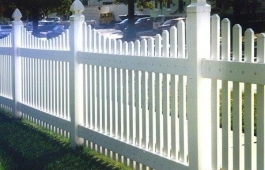 You can put up vertical pickets, lattice, or pre-made panels. It looks best if you keep all the panels consistent and symmetrical. 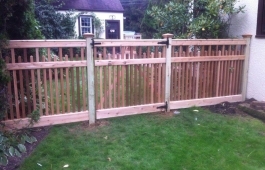 Plan on leaving at least a quarter inch space on each side of your gate for swinging clearance. 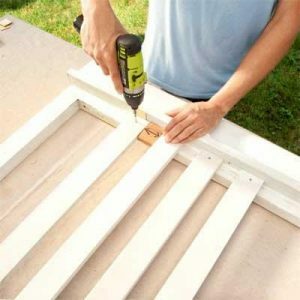 It helps to build the gate on a flat piece of plywood or particleboard. 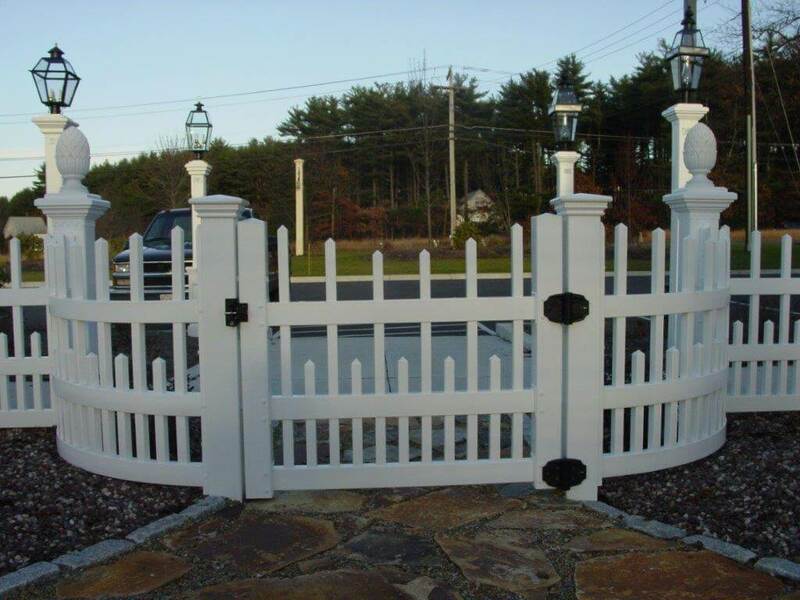 For this picket fence gate, we used two cross pieces and a diagonal piece for support. Nail these pieces to the plywood, and then nail them to each other. Attach your panel design to the support pieces. In our case it was pickets. Take out the nails holding the gate to the plywood. 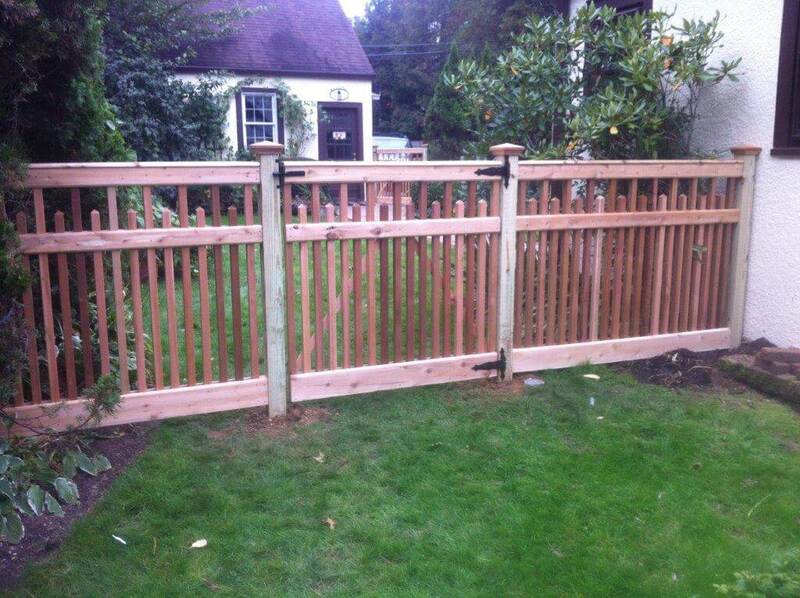 Set the gate in place using blocks to set it at the right height and spacers to keep it the proper distance from the posts. 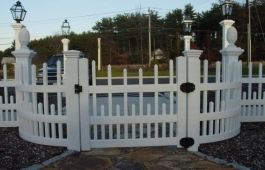 Use strong corrosive-resistant hardware and screws to attach the gate to the posts. 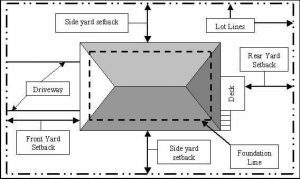 Set the corner posts for a chain-link fence first. Let the concrete set up a bit and then make your final adjustments so they’re plumb in both directions. Once the concrete is dry, use the corner posts to string lines to line up the middle posts. Usually chain-link fence posts are spaced about 10 feet apart. 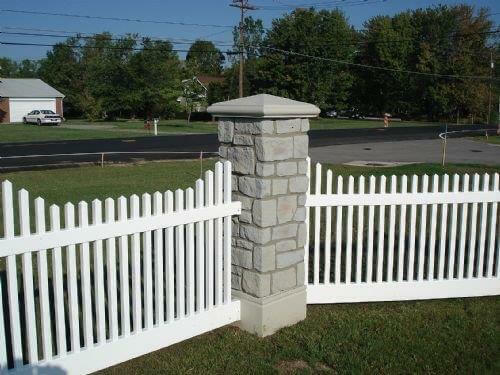 Make sure your concrete is totally cure before installing the fencing fabric because this puts a lot of tension on the posts. An alternative to setting your posts in concrete is to use an anchoring system with stakes. Using this method you can set the posts to the exact height you need. Posts set in concrete need to be cut off at the right height with a pipe cutter. The top rail goes through loop caps on top of the line posts. 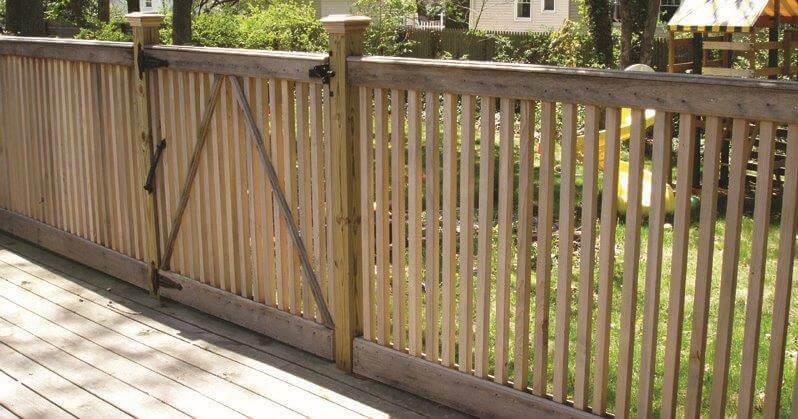 This rail forms the top frame that the fencing stretches across. Roll the fencing out on the outside of the fence. 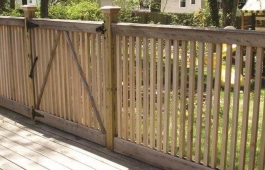 If you need to extend the fencing you can weave two pieces together with a single strand. Attach the fabric to a post at one end of the fence. You do this with a tension bar and tension bands. Loosely tie all the fencing to the top rail. Then stretch the fencing by hand as far as you can. 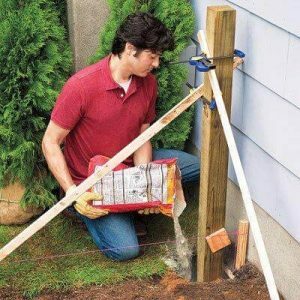 Use a winch, made especially for this type of job, to pull the fencing until it’s tight. 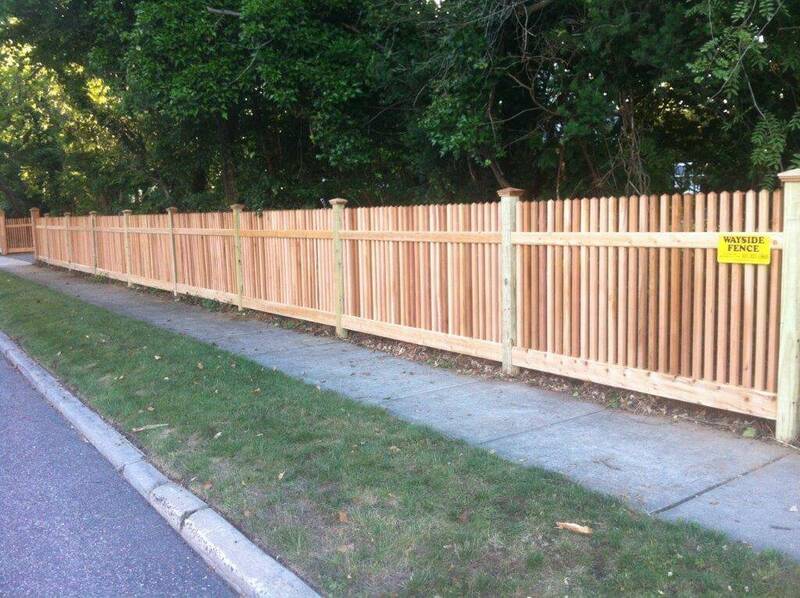 Then permanently attach the fencing to the posts and top rail.